Our darling caretaker President has announced the date for elections: Wednesday 22 April 2009. He couldn't have picked a worse date if he tried. Not only is it a Wednesday, but he selected the only week in April that was until then a full working week. So far we have public holidays on 10th, 13th and 27th April, not to mention 1st May. Now add 22 April and the traditional "National Productivity Week" from 27th April to 1st May, becomes National Productivity Month, from 1st April to 1st May. That's 17 18 working days in a month. The mind boggles. He gazzetted it, he hasn't proclaimed it yet, so not final! The Cape Chamber of Commerce and Industry has taken President Kgalema Motlanthe to task for selecting Wednesday, April 22, for the general election, because it is in the middle of the only week of April that doesn't already include a public holiday. 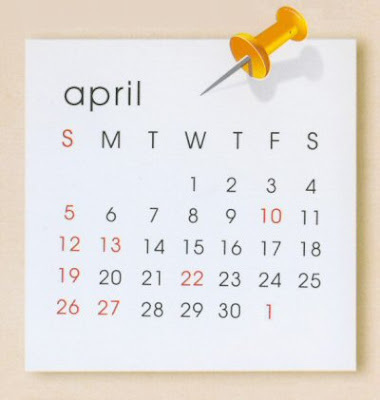 Please could someone inform me, how it works out to be 17 working days, as i count 18 working days in this month, taking into consideration the election date being the 22nd April?